"God who is mighty has done great things for me. Holy is His name" (Luke 1). The words of Mary's "Magnificat," quoted in St. Luke's gospel, are appropriately applied to the celebration of today's feast - Mary's bodily assumption into heaven without having undergone corruption in the grave. Each year, on Ash Wednesday the Christian faithful are signed with ashes on the forehead. In administering the ashes, the priest, deacon, or Eucharist Minister may use the admonition: "Remember man, that you are dust; and unto dust you will return." This formula reminds us of our earthly mortality - that death and corruption in the grave are the consequences of mankind's disobedience to God's stated command. Since the "Original Sin" of Adam and Eve, all human persons suffer the consequences, the punishment meted out by God. We are all subject to temptation, just as Adam and Eve were; and we have a propensity to reject God's way - preferring to put ourselves first. We must honestly admit that in one way or another we too have been disobedient children of God. We live with the reality that one day - God knows when - you and I will die and our mortal remains will be consigned to the earth, ". . . and unto dust you will return". There are relatively few dogmatic teachings in the Church's history. Two are in reference to Mary as God's chosen vessel to be the Mother of His Incarnate Son. The "Immaculate conception" - Mary's freedom from all stain of sin at the moment of her conception in the womb of her mother, St. Anne; and Mary's bodily assumption into heaven without undergoing corruption in the grave are but two of the "great things" done by God for Mary. She is as the poet stated: "Our nature's solitary boast". Her obedience to God's will is the reason why every generation since has called her "blessed". On November 1, 1950, Pope Pius XII issued the solemn dogmatic statement concerning Mary's Assumption. 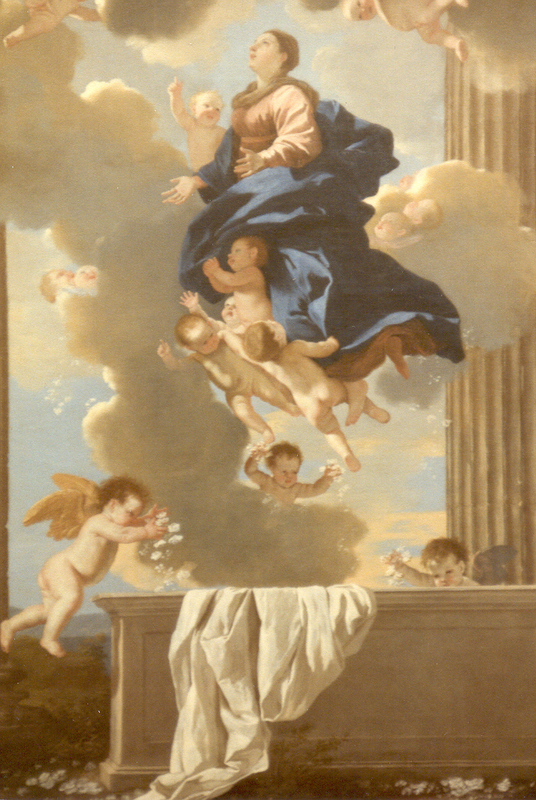 He said in part: "Finally, the Immaculate Virgin, preserved free from all stain of Original Sin, when the course of her earthly life was finished, was taken up body and soul into heavenly glory - and exalted by the Lord as "Queen" of all things, so that she might be more fully conformed to her Son, the Lord of Lords and conqueror of sin and death" (Pope Pius XII). 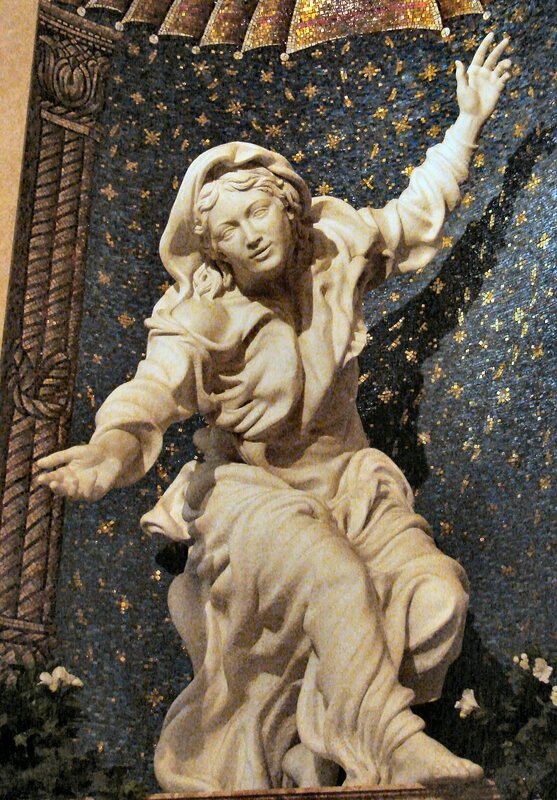 Since there is no specific mention of Mary's Assumption in Sacred Scripture, it is easily understood that this dogmatic teaching is troublesome to many non-Catholic Christians. Since they believe that the Bible (Scripture) is the sole rule of Faith, the dogmatic teachings of the two "great things" done for Mary are difficult for them to accept. Pope Pius XII nonetheless made note of the fact that: "from the second century the Holy Fathers (of the Church) present Mary as the "New Eve", most closely associated with the "New Adam" (Christ) in the struggle against the enemy of the nether world" (ibid). The Orthodox Church of the East responded to Pius XII's 'de fide' statement by saying that: "This was a doctrine they had held for centuries". As the humble "Maidservant of the Lord" (Luke), Mary would be the first to point out that the celebration of her feast days are not all about her. They are, rather, reminders of God's intervention in her life in order to bring about the redemption of all mankind. It is the centuries-old conviction of Christians that Mary's intimate sharing in the life, death and resurrection of her son merited for her a sharing in his bodily ascension and glorification. We thank God for his generosity to Mary; and to ourselves as well in giving her to us as a model of openness and responsiveness to God's will. We ask her continued care and intercession as we pray: "Holy Mary, Queen assumed into heaven, pray for us sinners, now, and at the hour of our death".